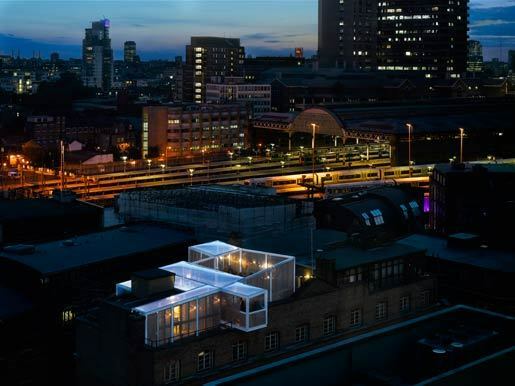 Launching tonight (20 September), the SkyMarket purports to be London's first ever rooftop market. It's located at the Skyroom on Tooley Street, SE1 (previously host to the Skybar amongst other things). Food, drink, music and masterclasses are on the menu. The SkyMarket is open 12pm-5pm Monday, 12pm-10pm Tuesday - Saturday. A new venture from D&D London (owner of Coq d'Argent, Skylon and Floridita, among others), the Old Bengal Bar opened this week on New Street, near Bishopsgate. Over 10,000 sq feet in size, the Bengal is housed in an 18th-century warehouse originally built for the East India Company and comprises a restaurant, bar and wine shop and, given the provenance of D&D's portfolio, is evidently positioned toward the bonus-touting upper echelon of London's financial sector. Hackney's Netil Market, home to Lucky Chip, which some regard as the purveyor of the capital's finest burger, hosts a full on bash this Saturday and Sunday. The Netil Market Weekender will host more street food slingers than you can shake a bag of plastic sporks at, while drinks will be provided by Hoxton stalwart The Night Jar. Find Netil Market at 13-23 Westgate Street, E8 3R. Nearest station: London Fields. London Design Festival is well underway, and brings with it a couple of food 'n drinky attractions. We've already previewed the London Transport 1950s-style pop-up cafe; it's joined by a Danish bar, featuring produce sourced by Anders Selmer, former sommelier at Copenhagen's Michelin-snaffling restaurant Noma. Both the LT cafe and the Danish bar are open until 23 September. Having just wrapped up operations in Dalston, the Street Feast London night market returns on Friday for a one-off return to Camden Town Brewery. Traders this week include Kimchi Cult, Tava Wava and Bare Grillz. The market moves on to Hackney next weekend, so north (ish) Londoners should take this opportunity for a fill.